Our locations are called “stands” as a tribute to Arthur Abbott’s first store which only had windows to order at without any indoor seating. Nowadays, most stands have interior seating, and exhibit a refreshed look of the clean, and classic original ice cream parlor. This style pays homage to our roots while also catering to multiple generations of guests. Our stands are uniquely designed to attract customers by appealing to their senses of smell, sight, sound and finally taste. Before stepping through our front door, customers can smell our freshly baked waffle cones as they are strategically baked close to the front of our stand, allowing their delicious smell to meander outside. 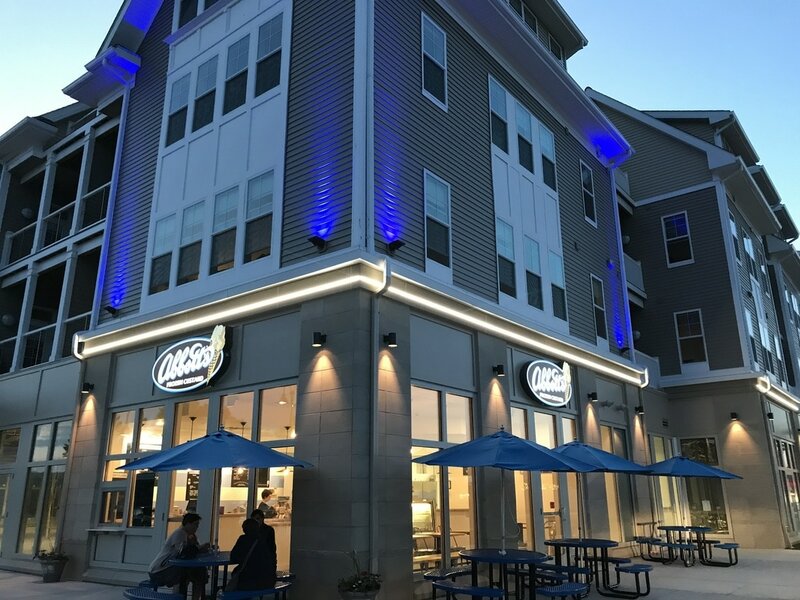 The interior glow of an Abbott’s is one of warmth and comfort, inviting guests to step inside with specific lighting to accentuate our brand identities and create an atmosphere where they can enjoy their Abbott’s frozen custard. 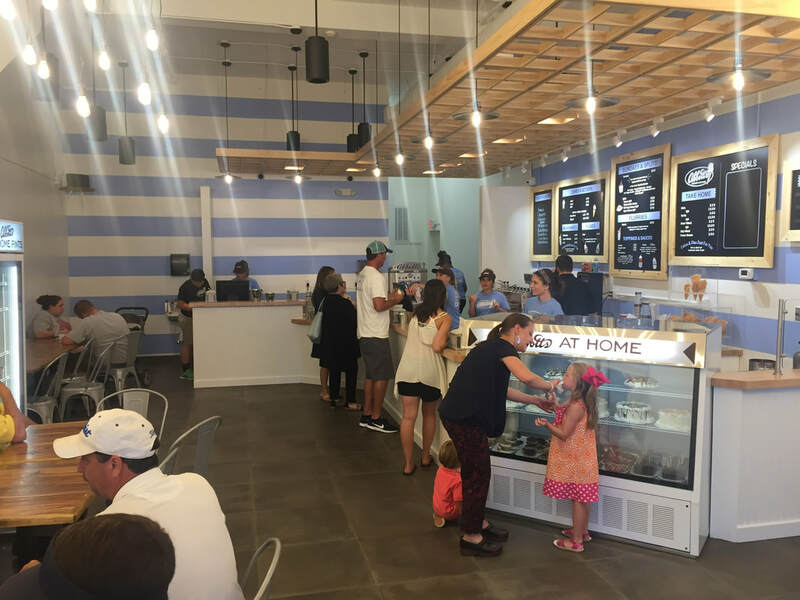 And finally, the minute they walk in the door, they are greeted by a smiling face and personable employee welcoming them to Abbott’s and offering a taste of any of our daily flavors. Once inside our stand, our custom interiors are designed to showcase our unique processes and allow customers to see the care put into each product. Everything is done out in the open, creating an event like atmosphere for people to enjoy. From churning the custard to baking the waffle cones, handcrafting our famous turtles, and decorating our cakes, the placement of our work areas, equipment and lighting are all precisely laid out to enhance our customer’s Abbott’s Experience. Further, our approach to design blends our brand standards with local characteristics to create truly unique but familiar settings for friends and families to enjoy their Abbott's. A great example of this is our Greer, South Carolina location which is set in a historic building in the middle of downtown Greer. The unique characteristics of the building including, exposed brick and a tin ceiling, were incorporated into our design.